The typical dealership car wash uses a high volume of water because of the various cycles that the wash process includes. There are two very big opportunities here; use of an alternate source of water and reuse the water with a recycle system. We are hearing about a growing number of dealership that are capturing rain water from roof areas and holding this in a cistern for use in car washes. An Austin TX dealer uses two 10,000 gallon cisterns to capture water for use throughout the dealership including the car wash. Car wash systems are now available that recycle the water used in the wash process. Many of these systems will recycle over 80 percent of the water used. Many dealership have large amounts of grass that they keep looking good through vigorous irrigation activity. This can not only use a lot of water but it can waste a lot of water. One example of waste comes from over irrigation either because the lawn is being watered when it does not need it or the water is being applied to areas that do not benefit from the moisture being applied. Current technology advancements now allow sprinklers to apply a smaller volume of water while still maintaining the grass because of less water being sprayed into the air and thus evaporation reduces the water actually getting to the lawn. Some examples of real waste can be seen when irrigation is running during a rain storm or water is being applied in such a way that it is running down the street or sidewalk and going into the drain. 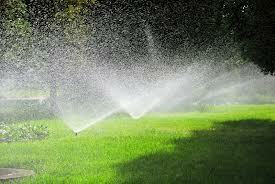 An even better solution is through landscape design that reduces or eliminates the need to irrigate altogether. The use of native plants, or designs that include a high percent of mulch or rocks, thus elimination of grass means a nearly 100% reduction in irrigation. To learn more aout water efficient landscapes click here. With a large number of employees and customers, restrooms require the use of a high volume of water at car dealerships. Use of fixtures that are high efficiency will reduce the use of water and energy and perform better than their earlier versions. By law most new fixtures today must be designed to function using less water than their predecessors. This lower volume of water actually comes with improved performance and is a win win situation. Many fixtures today come with the WaterSense label. This is similar to the Energy Star label for electrical appliance and can provide customers with the confidence that they are selecting. To learn more about the WaterSense label click here. Water scarcity has an impact on everyone in the community. While the overall cost of water today does not represent the largest utility cost to most businesses it can be significant. In addition to the cost the message sent by the wasting of water may have a bigger impact on business than was previously considered. In more general terms, sustainability is the endurance of systems and processes.I think I first knew about that word in some form from my track coach when I was running cross country. He tried to impress on all of us that in order to do well we had to be able to “sustain” the pace. We needed to hold back a little as the race went on so that as we reach the point of only having 1,000 yards left to go we could we could really push it and pass all those other guys who had moved out in front of us earlier in the race. It my business I find another version of this to be true, which is; that even when times are good, I need to resist going out and spending all the money in the bank, just because it is there. I need to be able to “sustain” the operation of the business for the long run. If I don’t have that long range plan I could find myself running out of steam (money) at the wrong time. There is of course the definition of sustainability that relates to the environment. I know there is a lot of conversation about this. Many people would tell you that they believe that Global Warming and Climate Change are all part of the evolution of time and that we should not get too concerned about these thing. We have been seeing storms and droughts for years and that all seems to be just part of the way things change over time. For me, I am concerned that people that live in Norfolk VA are seeing high tides cause more issues. I am also concerned that a group of scientist is warning that Climate Change is going to have a big impact on all of us. I guess time will tell how serious all that is. In the mean time, what is a person to do? I think we can make it a little simpler and manageable by breaking it down into some smaller pieces. I am going to take a stab at that because it seem to me that when most people are looking at the entire issue of environmental sustainability they find it has almost has too many moving parts. A lot of the use of resources such as Energy and Water is based on population growth as well as how well we live. In 1927 we reached a world population of 2,000,000,000 people. By 1974 we had doubled that to 4 billion and it is estimated that by 2026 we will double that again to 8 billion. All those people use up a lot of energy and water and create a lot of waste going into landfills. And from 1927 until now most of us are each using a lot more resources. Here is what I see going on with energy. 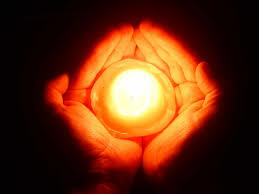 The scientist tell us that for some time we are using energy faster that what we are producing it. The numbers are huge as to how much faster we are using energy that we are making it. The fact is, however, we have a big stockpile to draw from. But, we also have the issue that we are using it faster all the time. The debate seems to be how soon will we run out. If we keep doing this, sooner or later we will run out. We use energy in many ways, but to keep it simple and look at myself (which may not be the same for everyone), I have a few big uses of energy that I personally could change. One is electricity/natural gas and the other is gasoline. I know I can have some impact on the use of both of them without too much change in my life style. On the electricity/natural gas one, am already going down the road of replacing in-efficient light bulbs with CFL bulbs or LED. Was it a big deal? At the time it seems like it was. Those incandescent bulbs are really cheap to buy while the CFL’s were a lot more expensive and the LED’s are terrible. However, when you put a pencil to it the LED’s really make a lot of sense. I just had to change my outlook to longer term. My home is heated with Geothermal. It certainly cost more at the outset but again when I look at the long term it was easy to see the cost was much lower. And then there is the gasoline issue. The car I use for business get almost 30 mile to the gallon, so I feel I am pretty good about that. Last week when I was in California and was going to be spending a week in the car with about 1,500 mile to drive so I had some decisions to make. As I was walking down the National Car Rental row of cars I had some basic considerations in mind. I needed a car that would be comfortable for all those miles and I needed a car with XM Radio and on by the way, it needed to have decent fuel economy. I got all three things I wanted and to my surprise got about 40 miles to the gallon overall. When my gasoline cost was about 40% less than I normally experienced it was a good reminder to be sure next time to have fuel economy a little higher on the list of requirements. We will all all eventually be driving cars with better fuel economy, like it or not, as we move toward an average fleet of over 50 miles to the gallon. Being from the Midwest where we have enough water (at least this year) it is sometimes hard to worry too much about any shortage of water. That is until you get to California. Here I saw lot of evidence of how much trouble we are already in for water. I saw lake Shasta where the water level is down about 75 feet. It is that water that irrigates those fruits and vegetables we all love so much. The dryness also had thousand of acres burning out of control in Northern California. I am not sure how much of this we control but when on the same trip I saw lawns being over watered with runoff going down the gutter, it makes you wonder what it will take to get serious about how we protect our water supply whether it is in California or in Michigan. The fact is we all could be doing things to reduce water usage where ever we are. It still all can get down to money. Even in the Midwest, water is about a penny per gallon. That does not sound like much until you see the number of gallons that are used by all the people every day with little regard as to how we can reduce usage. 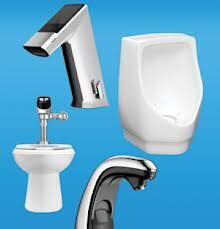 Often if is more a matter of how we use it and does not even require measures such as low flow faucets. This is a big issue for a lot of reasons. First every time we throw something in the trash and it goes to the landfill there is some chance that we made a bad decision when we acquired it and thus too quickly it became trash. If you want to look at it strictly on dollars out of you pocket, think about what never should have been acquired in the first place. Also think about it along the lines of, could someone else use this or could it be recycled. It seems that every store is happy to package your purchase in plastic bags. Whether it is the grocery store or the home supplies store, we always seem to have a lot of those plastic bags coming home with us. They do not cost a lot but they sure are a mess to deal with. Most of them end up in the landfill and they stay there forever and ever. At the landfill they add up to a huge amount of space. The alternative is to use those reusable bags we all have accumulated and probably already have in the trunks of our cars. Those water bottles are a similar problem but here there is a cost you bear that doesn’t have to happen. With drinking water costing about a penny per gallon out of the faucet and bottled water cost a buck the decision is easy. While I do not have all the answers for being a totally environmentally sustainable world, I have just shown that from my person experience we could all be doing a little bit every day to help. Multiply that times 8,000,000,000 and it starts to get to be a big number. The world is growing by leaps and bounds as measured by the world population. In 1922 there were 2 billion people in the world. By 2000 there were 6 billion and by 2050 it is projected there will be 9 billion. With this growth the worlds natural resources will be much less available than they were just a few years ago. By 2050 there will only be 25% of the resources available per capita that people in 1950 had. For our children and grandchildren we save for college educations, health emergencies and weddings, but what about saving so that there will be enough clean air, water, fuel and soil for the future. Some of the greatest threats to these resources are the things we throw away. When we send things to the landfill we risk damage to the environment as well as taking up a lot of space that is needed for our future growing population as well as the lifestyle we would like to maintain. 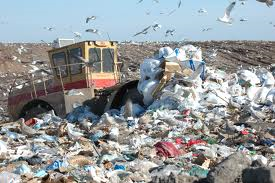 As landfills are used up every person has to pay in some way to acquire additional space to put stuff. This is just one area that impacts our future environment. Add to that how we use energy water and clean air and this whole “green” thing becomes a big deal and it does impact everyone of us. People that do some or all of these thing will find they have reduce energy bills, lower water consumption and are sending less waste to landfills. All this results in lower utility bills in addition to the positive impact on the environment. When businesses consider doing a lighting upgrade they often think in the terms of changing to more efficient bulbs like LED or a more efficient HVAC system that is 95% efficient. These are good things to do but are only a part of the package and should not be considered alone. For example, to change from Metal Halide lamps to LED might reduce energy consumption by 50-75% but that is only part of the saving. If controls are also updated the saving can be much higher and is often up to 85%. For lighting, these controls include photo sensors, motion detectors and rotating the timing as to when lights are on. Often they are incorporated in a complete energy management system. What happens here is an added consideration when replacing lights or making many other investments especially in energy related devices. The adage of “What Get Measured, Gets Done” has been around for a long time but for the purpose of this blog I am using “What Gets Measured, Get Managed”. It is more that semantics. When we make the case for Going Green it is all about measuring performance in many areas that compose the environmental picture of a businesses operation. 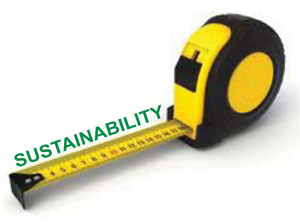 Big businesses today are almost always focused on sustainability measurements. This same level of interest is become of greater concern to medium and small businesses. Some Car Dealer are beginning to show an interest in how they act is effecting the environment. They are realizing that when they reduce carbon emissions and cut down on the use of precious natural resources it saves them money in the long term. How they measure that performance, however, is becoming a new experience. Car dealers are no strangers to using measures to determine their business progresses, albeit in a somewhat different form. Car dealers have always used the comparisons of how are we doing this month compared to last month or as compared to the same month last year. These measurements are usually in the area of sales of vehicles, service and parts. Car dealers are also very active in establishing targets and goals in these familiar areas. Measuring and using the results to manage for improvement follows the same approach for environmental issues as tracking the sale of new vehicles. That is compare how you are doing this month compared to last month and compare how you are doing compared to last year. With only a few of these dealers measure performance in environmental issues many dealers are missing a large opportunity. The opportunity is in the reduction of expenses. After all, reducing expenses has the same effect on the bottom line as the increase in sales. So why don’t dealers focus more on this the area of reducing operating expenses, especially in the area of environmentally related functions? Dealers tell us 1), it is hard and 2), they do not know where to begin. In this blog we intend to answer both of those issues. This limited number of areas narrows the scope and keeps measuring focused and easy to do. How to get started. Just take a years worth of data (actually it is best to start with 13 month) and enter key information into some sort of a spreadsheet like Excel. So for electricity you would gather the last 13 month of bills and for each meter enter kWh, cost and end date of the bill. For natural gas (or other types of fuel used to heat) follow a similar process except the energy type will be different such as ccf’s and then the cost and date. The same for water. You now have measurements for key areas of expense that are manageable and can be used as a tool to determine where your expenses are going. Will the Grid Go Away? For years, low-cost renewable-plus-battery systems were seen as a unlikely and not a threat to mainstream electricity delivery any time soon. By far, the limiting factor has been battery costs. But thanks to a confluence of factors playing out across the energy industry, the reality is that affordable battery storage is coming much sooner than most people realize. That approaching day of cheaper battery storage, when combined with many forms of renewable energy, has the potential to fundamentally alter the use of the grid. While grid-tied solar has seen dramatic recent cost declines, until recently, solar-plus-battery systems have not been considered economically viable. However, concurrent declining costs of batteries, growing maturity of solar-plus-battery systems and increasing adoption rates for these technologies are changing that. Recent media coverage, market analysis and industry discussions have gone so far as to suggest that low-cost solar-plus-battery systems one day could enable customers to cut the cord with their utility and go from grid connected to grid defected. But while people have been talking about renewable energy plus battery systems as a potential option at some point in the distant future, there has been a scarcity of detailed analysis to quantify when and where. There are several possible scenarios: a more conservative base case plus more aggressive cases that consider technology improvements with accelerated cost declines, investments in energy efficiency coupled with load management and the combination of technology-driven cost declines, energy efficiency and load management. Even the base case results are compelling, but the combined improvements scenario is especially so, because efficiency and load management reduce the required size of the system while technology improvements reduce the cost of that system, compounding cost declines and greatly accelerating grid parity. Even before total grid defection becomes widely economic, utilities will see solar-plus-battery systems eat into their revenues. Factors such as customer desires for increased power reliability and low-carbon electricity generation are driving early adopters ahead of grid parity, including those installing smaller grid-dependent solar-plus-battery systems to help reduce demand charges, provide backup power and yield other benefits. These early activities likely will accelerate the infamous utility death spiral — self-reinforcing upward price pressures, which make further self-generation or total defection economic faster. The “old” cost recovery model, based on kWh sales, by which utilities recover costs and an allowed market return on infrastructure investments, will become obsolete. Utilities must re-think their current business model in order to retain customers and to capture the additional value that such distributed investments will bring. The results are profound, especially in geographies such as the U.S. Southwest. In this region of the country, the conservative base case shows solar-plus-battery systems undercutting utility retail electricity prices for the most expensive one-fifth of load served in 2024; under the more aggressive assumptions, off-grid systems prove cheaper than all utility-sold electricity in the region just a decade out from today. Millions of customers representing billions of dollars in utility revenues will find themselves in a position to cost-effectively defect from the grid if they so choose. The so-called utility death spiral is proving not just a hypothetical threat, but a real, near and present one. The coming grid parity of solar-plus-battery systems in the foreseeable future, among other factors, signals the eventual demise of legacy utility business models. Although utilities could and should see this as a threat, they also can see solar-plus-battery systems as an opportunity to add value to the grid and their business models. The United States’ electric grid is on the cusp of a great transformation, and the future of the grid need not be an either/or between central and distributed generation. It can and should be a network that combines the best of both. Having determined when and where grid parity will happen, the important next question is how utilities, regulators, technology providers and customers might work together to reshape the market — either within existing regulatory frameworks or under an evolved regulatory landscape — to tap into and maximize new sources of value that build the best electricity system of the future the delivers value and affordability to customers and society. These disruptive opportunities are the subject of ongoing work by the authors, covered in a forthcoming report to follow soon. Green Initiatives have a Positive Impact on Profits! Green initiatives within dealership operations are becoming a way of life for many dealerships. New car dealers are already well on their way to Going Green, but may not have ever thought of these activities as being Eco-Friendly. 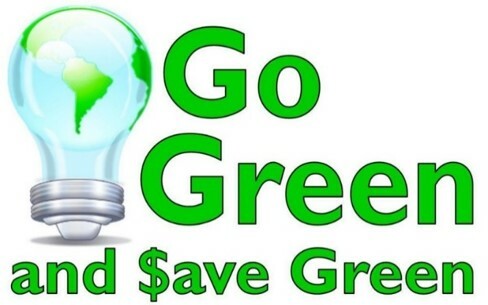 Some actions that are being taken reduce Energy usage by over 50%. Some actions that are being taken reduce Water usage by over 40%. Some actions that are being taken reduce Waste to Landfill by over 60%. What should a dealer do to accelerate the process at their store? Answer: Make a commitment to take action to Go Green, just do it. Then take one action at a time and move forward doing something about it. The best step is for management to make a commitment that this is something that we are going to do and then begin to gather the support of others in each department finding those individuals who are naturally inclined to support being Eco-Friendly. Everyone in the dealership is not going to be so inclined to be advocates of environmental sustainability efforts, but many are and their involvement will encourage others along with internal communications that become a part of operations on a regular basis. Most dealerships like to tackle the Green Initiatives that have the greatest ROI which generally will be reducing Energy usage. Energy usage has many forms including electricity and fuels such as natural gas. The good news is that most of the Energy saving projects have a good payback and in a lot of cases are reduced in cost through incentives and tax advantages. Operating cost reductions frequently pay for the investments in the short term and results in improved cash flow in the long term resulting in improved profits. 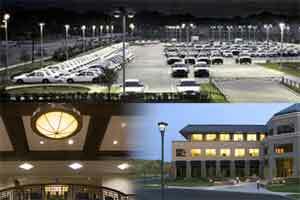 Lighting tends to be the biggest energy consumer and takes many forms both inside and outside the building. Technology has moved fast in the lighting area and almost all facilities have opportunities to improve the quality of lighting and reduce the operations cost. How do you figure it all out? Of course, you need to rely on the experts in this field. They should have all the skills necessary to determine what is best for you particular situation and be sure you are able to take advantage of all of the incentives and benefits. As always, get more than one opinion (proposal) and work with reliable suppliers. Most important is to be an educated buyer. Use the tools that are available to educate yourself and come up with your own set of numbers so you can check out what the vendors say.